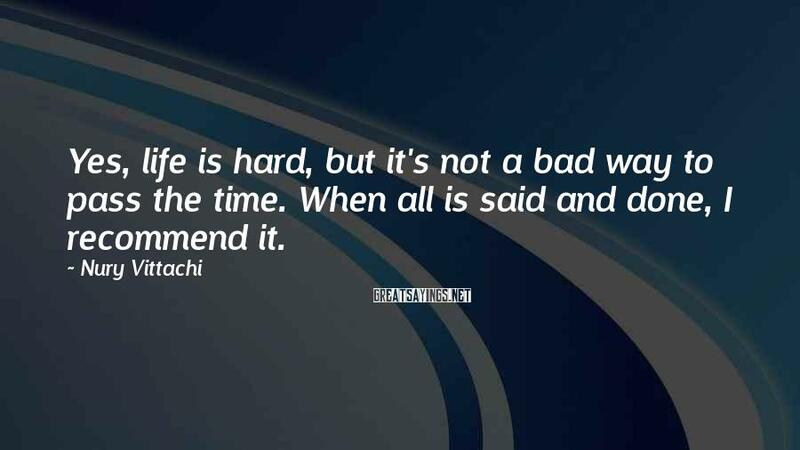 6 Nury Vittachi Famous Sayings, Quotes and Quotation. Yes, life is hard, but it's not a bad way to pass the time. When all is said and done, I recommend it. A fine way to capture a piece of the magic of a unique city. 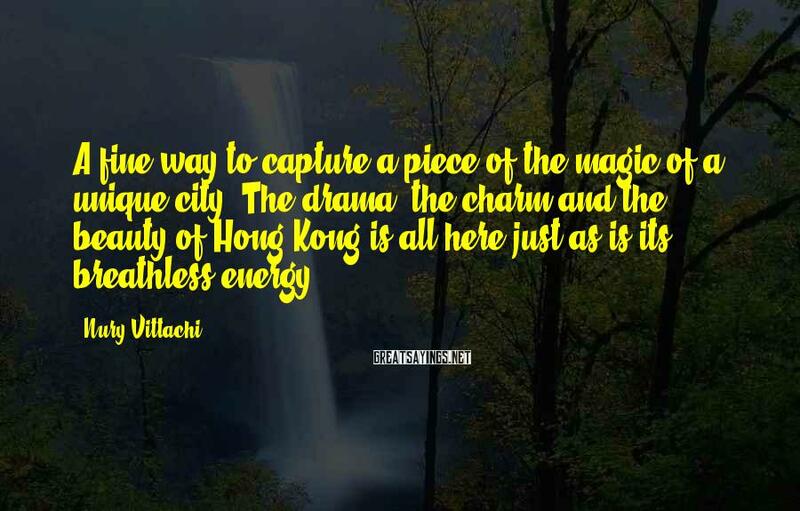 The drama, the charm and the beauty of Hong Kong is all here-just as is its breathless energy. 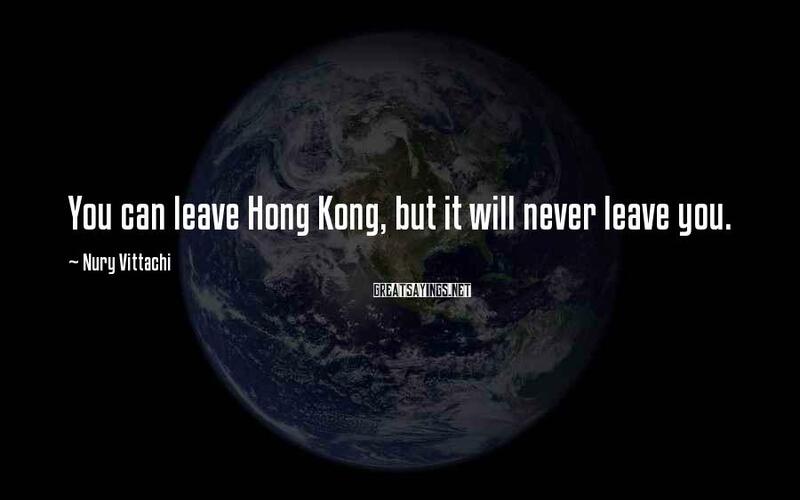 You can leave Hong Kong, but it will never leave you. 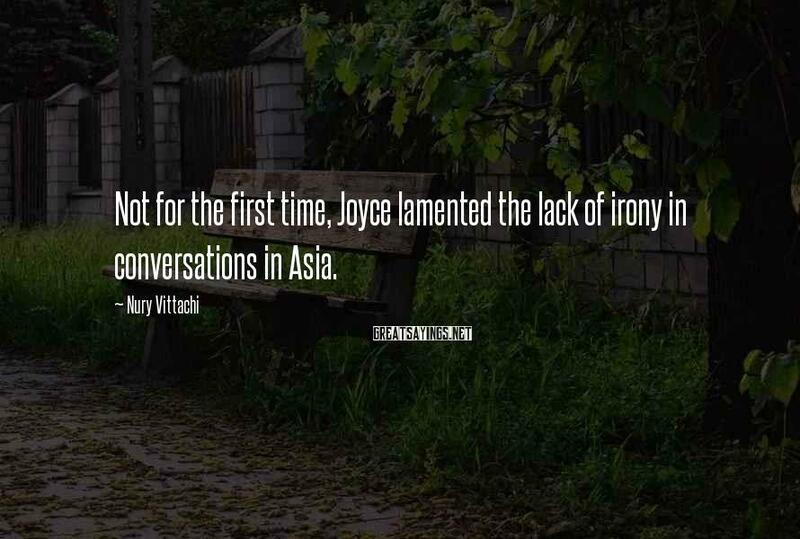 Not for the first time, Joyce lamented the lack of irony in conversations in Asia. Wong looked down at the briefing papers in front of him for a moment. Then he looked at Tambi in the eye. 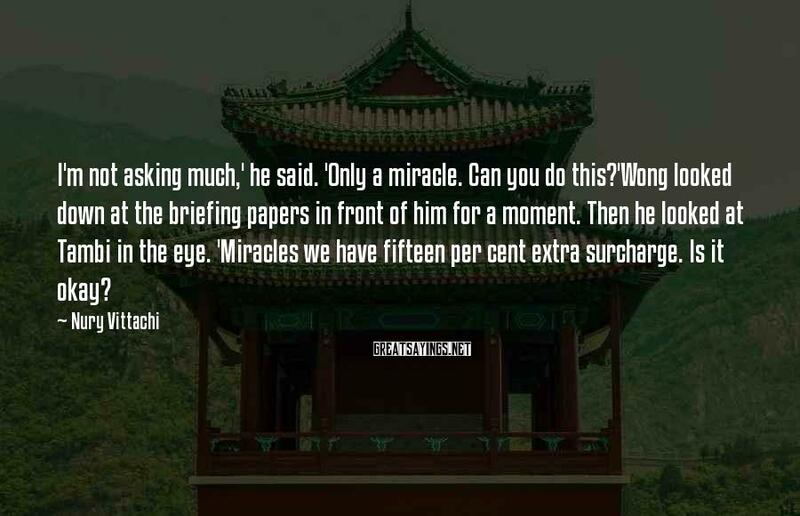 'Miracles we have fifteen per cent extra surcharge. Is it okay? 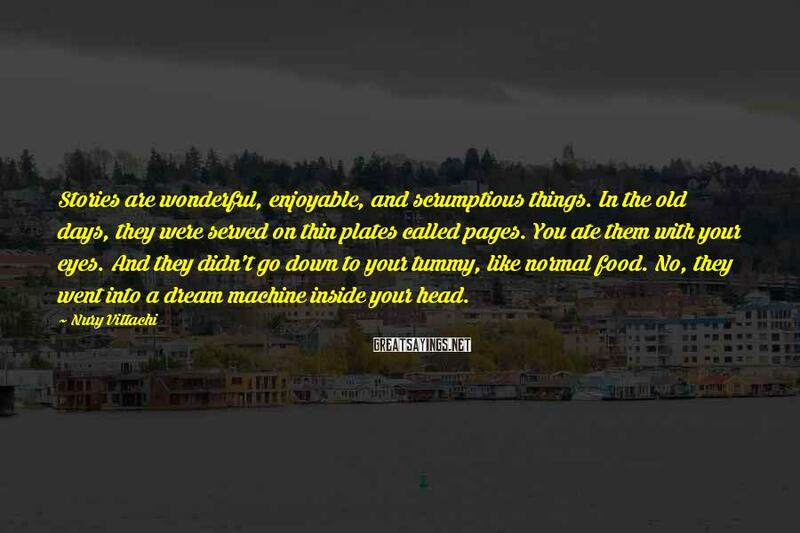 Stories are wonderful, enjoyable, and scrumptious things. In the old days, they were served on thin plates called pages. You ate them with your eyes. And they didn't go down to your tummy, like normal food. No, they went into a dream machine inside your head.